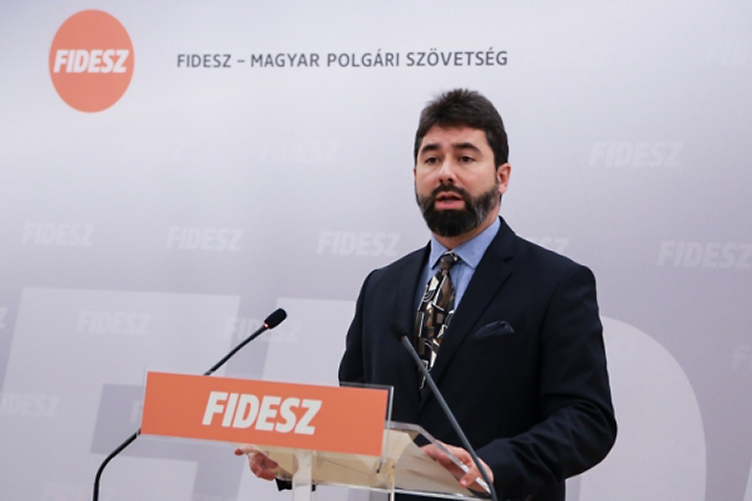 Speaking at a press conference Sunday, Fidesz communications director Balázs Hidvéghi claimed the government’s Soros Plan consultation has broken records. According to Hidvéghi, more than 2.3 million Hungarians have responded to the controversial questionnaire. Hidvéghi thanked Hungarians for “taking the pains to make their opinions of the Soros Plan known,” and responding via mail and over the internet, and added that Fidesz held some 208 town hall-style forums in 164 municipalities across the country. He also said there has been an effort by huge forces to prevent Hungarians from making their opinions known, such as George Soros and his allies in Brussels. “There is a coordinated attack taking place against the [national] consultation and the position of the Hungarian government,” Hidvéghi said. His Sunday press conference came almost two weeks after the Hungarian government extended the deadline for citizens to return their filled-out national consultation questionnaires. The extension comes against the backdrop of an intensive propaganda campaign carried out at public expense. Apart from fomenting hatred of asylum-seekers and aid and legal rights organizations assisting them, many of which receive funding from George Soros’s Open Society Foundation, the national consultation has managed to unify an otherwise divided opposition. In September, Prime Minister Orbán condoned violence against a bed-and-breakfast owner who offered to provide shelter to families formerly awarded refugee status — in what later became known as the Őcsény fiasco. The incident, and Orbán’s response, was criticized by the leaders of all opposition parties, including Jobbik chairman Gábor Vona. Critics of the government’s Soros Plan national consultation also argue that the questionnaire is prone to abuse, and point out that there is no way to ensure the validity of the returned forms and the tabulation process. Two week ago, the government granted LMP politicians Ákos Hadházy and Bernadett Szél limited access to locations where the returned questionnaires are being sorted. Reporters were restricted from entering the facilities. Following the controlled visit, Hadházy remarked that he is 99 percent sure the government is fudging the national consultation numbers. Experts say this national consultation gives Fidesz an enormous advantage in the run-up to the national election due in April 2018 by allowing the ruling party to campaign on public funds and dominate public discourse in an increasingly pro-government media environment.